It is with a heavy-ish heart that I am here to say we are discontinuing our Nalls Kitchen blog. I can't say that it will be gone for forever, but at least for the near future.We have loved sharing our experiences with you as we muddle through our Crop Share on a weekly basis. I have just been taking a long hard look at our commitments as an organization. Probably about a year or two AFTER I should have come to this realization, I have decided that I am spread too thin. I want to be able to do more things well, rather than too many things at a mediocre level. I want to give all of the amazing, awesome, incredible Nalls supporters out there the BEST experience that they can have. I don't think this medium was or is the most effective way to have conversations with you. That being said, I am not taking this site down. There is still some incredible content here that will continue to be a great help to me and hopefully you too. It is searchable, so all you have to do is pop in your keyword and see what comes up! I love all of you dearly and hope this doesn't bum you out too much. Look for more recipes in store and in your spoiler email weekly, as well as our fabulous Pinterest page. Ever wonder why it's called, "upside down cake?" I recently found out. 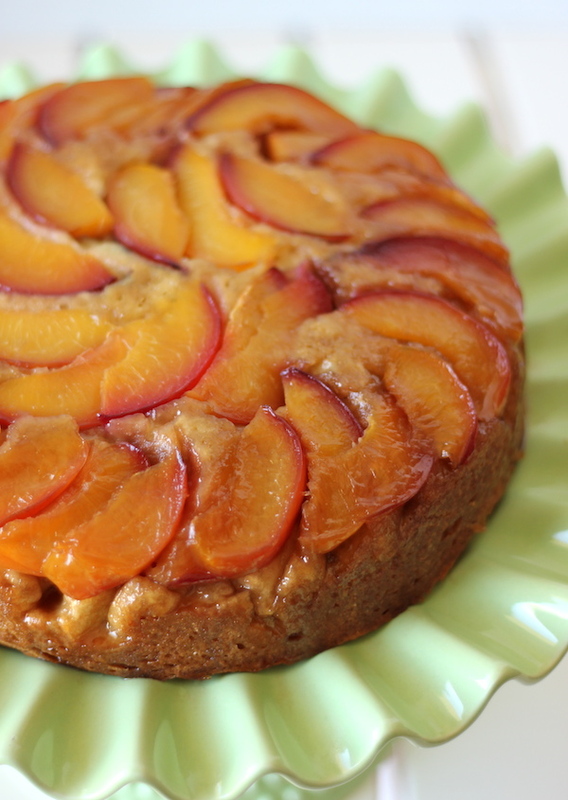 A friend on Facebook posted this recipe for Nectarine Upside Down Cake. It's called that because you put the toppings for the cake, usually sliced fruit, in the bottom of the cake pan -- in other words, you put the cake in the pan upside down. I guess there's a simple answer for just about everything. 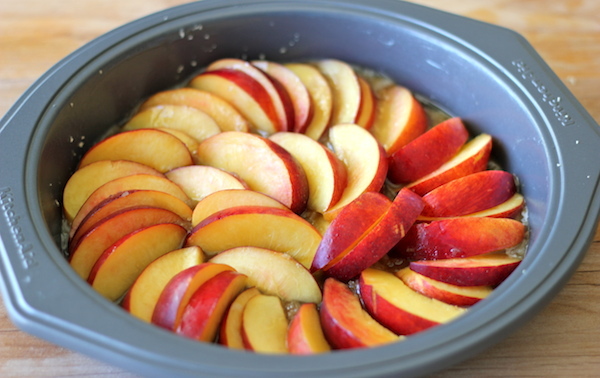 Nectarines are my favorite of the stone fruits. Peaches are delicious, but the fuzz kinda gets to me. With a nectarine, no such problem. These are early ones, though, so they're not yet freestone. What's freestone? it means that the fruit, cut in half, pulls away from the pit cleanly. It'll be a few more weeks yet before they're ripe enough for that. I won't blame you if you hold on to this recipe until then. It's less work, and the cut fruit for your topping looks nicer. You've got lots more zucchini from your box this week. There was quite a bit of it, and it'll be a staple all summer long. The muffins were really good, but how about some cornbread? 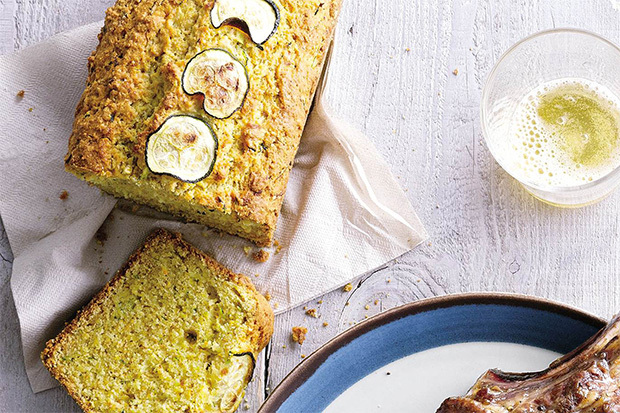 Most zucchini bread recipes fall under the heading of "quick breads." They're named so because they don't use yeast as the leavening agent, and therefore don't need time to rise. Instead, the recipe uses baking soda and/or baking powder with salt to make the bread rise in the oven. The cornbread recipe above, as most cornbread recipes, fall into this category. Most banana breads are quick breads, too. The recipe below is from The Everything Cookbook by Betty Wason. The book has long been out of print, but if you can get a hold of a copy, by all means do so. It's my most frequently used reference in the kitchen, and it'll have pretty much every single classic recipe you'll ever think of. This recipe is adapted from recipes in that book. Preheat the oven to 350˚F, and liberally grease and flour a loaf pan. Whisk together dry ingredients (flour, baking powder, baking soda, salt, nutmeg). Melt the butter in a pan over medium-low heat, and continue to brown butter slightly. Cool until just a little warmer than room temperature. In a separate bowl whisk the eggs. Stir in the butter and the grated zucchini. Stir the dry ingredients into the zucchini egg mixture a little at a time, mixing between additions until incorporated. Pour in the loaf pan and bake until a toothpick inserted into the center comes out clean, 50-60 minutes or slightly more. 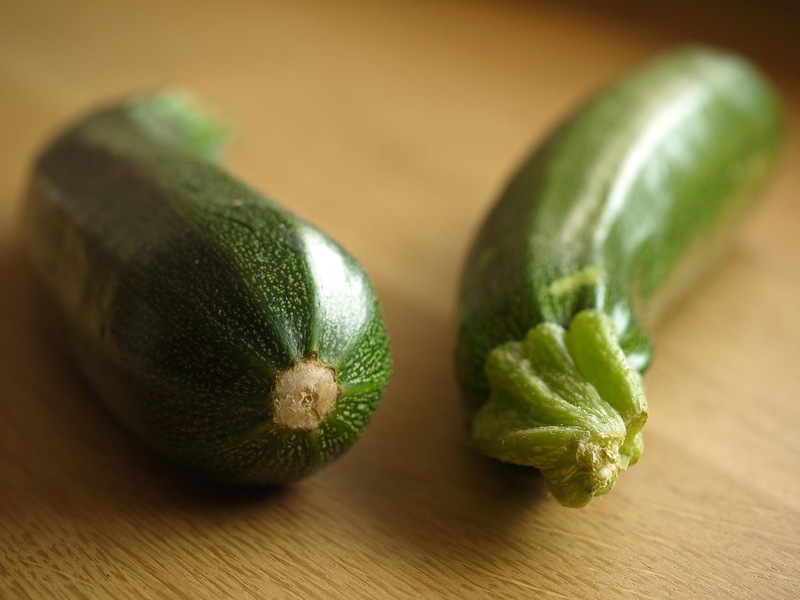 Zucchini is one of the most delicious and flexible items we get in the crop share. You can make them into noodles, roast them with herbs, or make muffins like crop share member Bethany Duffy. As always, if you bake up a mean batch of these muffins (or let your kids do it for you) please share your pictures with us! Hashtag them #cookingwithnalls on Instagram and tag us in the photo @nalls_produce. Don’t forget to follow us there and on Pinterest--we will have some exciting giveaways popping up later this month. We can’t wait to see what you’re cooking! It seems like we’re constantly being told that the best way to get kids to enjoy a variety of foods is to invite them into the kitchen. I’m sure that this is true, but it’s definitely not the easiest guideline to implement--for me, at least, cooking dinner can take more than twice as long with a 4 year old “helping,” and that’s not always time I can spare on a busy weeknight! My solution: let kids help with meals on weekends or days off, and always let kids help with baking. These spiced zucchini muffins are a great place to start. There’s no chopping, no hot liquids, no operating heavy machinery. Just one big bowl, a box grater, a little stirring, and a delicious treat at the end. Besides, with the good fats from olive oil, an extra bit of whole grains from white whole wheat flour, and tons of beautiful shredded summer squash, they’re almost healthy! Smear a little cream cheese (plain or lightly sweetened) on top, and you can even get away with calling it a cupcake. Who said you need to hide vegetables to get kids to eat them? Preheat oven to 350. Line a muffin tin with paper liners, or spray a silicon muffin pan with cooking spray and set aside. In a large bowl, whisk eggs. Stir in olive oil, sugar, vanilla, and zucchini. Layer dry ingredients on top and stir until just combined. Stir in nuts or dried fruit if desired. Scoop batter into muffin cups until they’re ¾ full. Bake 20-25 minutes, until a toothpick insterted into a muffin comes out clean. Born out of a little family veggie wagon, Nalls Produce has been serving the best produce in Alexandria, VA since 1961. Our crop share program runs year-round and showcases a variety of seasonal fruits & vegetables. For more information on the program, click here.